So, what does Ralph Lauren have to do with France? Other than selling massive quantities of his wearables here? Well, it’s like this: Mr. Lauren has a long standing love affair with France. So, ONE thing in common with DA BG. In spite of his great success, Mr. Lauren regrets never having gone to Art School. (We do not have that in common.) Ergo, putting these two elements together, it’s easy to grok why Mr.L. is footing the bill to restore the Amphithéâtre d’honneur at the heart of the École Nationale Supérieure des Beaux-Arts in Paris. Nicolas Bourriaud, director of the school, oversees both its complex artistic program and its buildings. That includes the entrance courtyard, where students on their lunch break sit beneath classical statues. Mr. Bourriaud described the school’s buildings themselves as a kind of encyclopedia, referring to the artists’ names, from Dürer and Van Dyck to Holbein and Rembrandt, carved in red stone in the glass-roofed central court. The amphitheater’s frieze, known as the Hémicycle, carries the same message of heritage, but with the artists shown grouped around the creators of the Parthenon, who are wrapped in white robes. The work was painted in a period when the classics were part of a general education. And it is his enthusiasm for Paris — which he expressed in an early visit by kissing the Arc de Triomphe — that has encouraged the current Beaux-Arts project. The initiative follows in 2010 the restoration of a 19th-century hôtel particulier on the Boulevard Saint-Germain that became the brand’s Paris store. Mr. Lauren received the Legion d’honneur the same year from then-President Nicolas Sarkozy. this post proves(once again) the operative word for DA BG is versatile! Nice to see an american giving back. hey geri..nice to see ANYONE giving back; especially someone with deep pockets! ralph lauren is our medici prince…patron of the arts. jack…can’t have too many princes like that, can we? it’s a great paradox that the opening photo has people with virtually no clothes……and that Mr L; is famous for clothes. sid….you were expecting they’d be wearing polo shirts? dan….i’d guess more than a few! i agree with his sentiments..but the idea of “wiring the place for the world” does kinda dampen it all for me…. no bev….just a hopeless romantic, i guess! very fine i think to have him do this thing. ok..we knew he made polo shirts and neckties before. We knew he lover paris before. 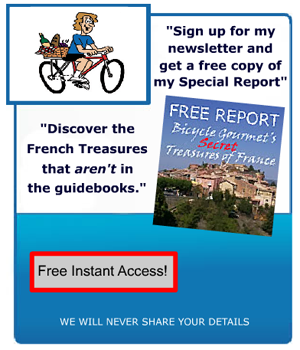 But until this post – never knew he kissed the arc de triumph! tad….see why it pays to stay tuned to DA BG? how long is the renovation going to take i wonder? good point betty….didn’t see it an the post. while it’s great he’s doing this…i’m wondering if maybe subconciously, this is his way of finally going to art school? good point valerie….so…are you a shrink? no george..but i’m married to one! another of your excellent reports!….refreshing to find that you always seem to have your finger on the pulse of contemporary events. paul…not to mention all the great personal adventure stories and tips on backroad spots.